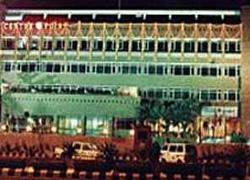 Airport Centre Point Hotel Nagpur is one of the finest hotels, set near the airport. the hotel offers meticulous service and refreshing environment to suit and need of business as well as leisure traveler. The hotel is just 10 minutes from the downtown Central Business Centre, less than 5 minutes from international airport. Airport Centre Point offers an array of International dining experiences ranging from exceptional to spectacular with fabulous panoramic views of the city. Enjoy a pre dinner aperitif or a special cocktail in our comfortable Bar. the menu offers a wide range of dished to suit all tastes. If you have not decided yet or wants to customize tour itinerary or hotels listed above in "Airport Centre Point Hotel Package in Nagpur", then we can change the travel itinerary and make a personalized, tailor-made holiday package, especially for you. We can modify this travel package as per your itinerary, budget, duration and the tourist places you would like to visit, including transportation and airfare should be included or not. Please fill the form below to contact us.